For most people, buying a house is the largest purchase made in their lifetime. You work hard to turn your house into a home. It's where you and your family create memories and live your lives. At AAA, we strive to make sure that you have total peace of mind knowing that you're covered. AAA Insurance offers more than just competitive rates - we have exclusive discounts and additional coverages for AAA Members! Discounts for having a home alarm, wind mitigation, new roof and lots more! A homeowners policy offers more than physical coverage. It offers financial security for you and your family. Homeowners insurance covers sudden and accidental losses to your home, covered personal property and certain liability exposures. But, there are common exclusions to homeowners policies or limits to key coverages that, unless you have a full understanding of your policy, can lead to unpleasant surprises when you file a claim. See the steps below for better understanding your homeowners insurance needs and more information on the type of policy you are purchasing. 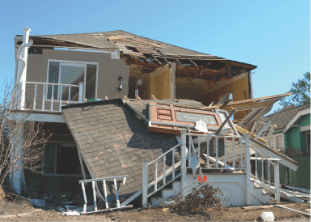 The first step in making sure you are protecting your home and livelihood is by identifying your exposures, or anything that can cause a loss, so they can be covered correctly. For example: Do you work from home? Your agent needs to know, because there are limits for business property in the home. Do you have a pool or trampoline? These can make a big difference to an insurance company and what they will cover. Knowing your exposures lets your insurance agent give you the correct coverage to protect you from the financial risks associated with gaps of insurance. Do you need coverage for a condo? Are you renting, or do you have a site-built home? Maybe you have a mobile or manufactured home. Each of these properties requires different types of coverage, all of which we can assist you with here at AAA! Our advisors are here to help you find the right policy for your unique needs. 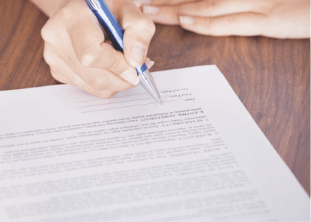 In the documents sent to you by your insurance company, the Declarations Page lists out all of your coverages, how much you are covered for and how much you pay for each coverage. Insurance companies use 'Reconstruction Costs' to determine the amount to which your property is insured – or how much it would take to reconstruct your property. On your Declarations Page, this is your Coverage A amount. If your home were to burn to the ground, this is the cost to rebuild the home to the exact state it was in prior to the fire. In most cases, the reconstruction cost is different than the sale price because land is NOT covered in the reconstruction cost. Let your agent know about unique or custom features in your home like specialty flooring, kitchens and baths. 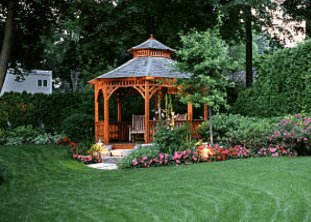 Coverage B covers everything from detached garages, gazebo and tool sheds to objects connected to the home by a fence, utility line or related connection such as a driveway, fence or swimming pool. This coverage is typically set at 10% of your Coverage A amount. For example, if your Coverage A is set at $300,000 your Coverage B will be $30,000. Coverage D involves receiving funding for unexpected expenses caused from a major loss. An example of this would be a loss to the extent that you and your family cannot live there until repairs are completed. In the meantime, your family will have to stay at a hotel, pay for meals at restaurants since you do not have a kitchen and other small inconveniences that are out of the daily, normal routine you have at home. Generally, your Coverage D is set at 20% of your Coverage A; so if your Coverage A is set at $300,000, your Coverage D will be $60,000. One of the most undervalued portions of the homeowners policy, Coverage E is provided in the event that you or a household member are legally responsible for injury to others, such as a visitor falling and injuring themselves or an incident with an aggressive pet. Most companies offer coverage limits of $100,000, $300,000 or $500,000. You can also purchase a separate policy called a Personal Liability Umbrella policy to increase the coverage over your auto and home, normally in $1,000,000 increments. See Personal Umbrella Policies for more information. Be sure to ask your agent about the exclusions to this coverage such as personal injury, which includes things like libel and slander or defamation. In the age of lawsuits and the internet, this is an important aspect for many consumers. A benefit of AAA Insurance Homeowners policies is that coverage for Personal Injury is included on all of our policies. We make sure you are covered! 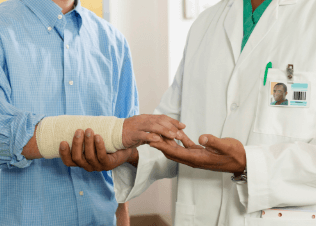 In the example that a visitor injures themselves at your home, Medical Payments, as a part of Coverage F, provide a set amount of coverage to help pay for their medical bills incurred from the incident. Coverage F is typically provided in $1,000 increments such as $2,000 or $5,000, and is selected based on your needs. This coverage does NOT apply to injuries sustained at your property by you or members of your household. There can be exceptions, such as business activities conducted on your property. It is important to be open with your agent about specific details of your home to ensure you are fully protected. To visualize what Coverage C involves, imagine you take your home, turn upside down and shake it. Everything to fall out is considered to be the contents of your home. This includes every single piece of clothing, furniture, silver wear, pots and pans, books, toys, electronics, jewelry and all other possessions that make your house a home. These possessions are all covered under Coverage C. This dollar value usually defaults to 50% of your Coverage A. For example, if your Coverage A is set at $300,000, your Coverage C will be set at $150,000. If this is not enough, some insurance companies will allow you to buy additional amounts of coverage up to 70%. AAA Insurance offers Replacement Cost Contents so you get full value for your possessions, even if they are no long considered 'new'. How do you customize a policy? Replacement Cost Contents* – If you have a loss to your personal property, this endorsement ensures you receive full value of the items, not the value minus depreciation. Identity Fraud Expense* – If you were to incur expense relating to an occurrence of identity theft, this endorsement pays up to a set amount for expenses such as notarizing documents and attorney fees. Water Backup and Sump Overflow* – Because losses from water back up and sump overflow are excluded in homeowners policies, this endorsement provides coverage for these events. Scheduled Personal Property – For your special possessions such as jewelry, art, firearms, furs or coins valued over $1,500, this endorsement provides broader coverage to important high-value items. *Included in your AAA Insurance Homeowners policy. Are there things excluded from your policy? Water Damage – Please note: Flood is not covered on home policies! This also excludes water that backs up from a sewer/drain or overflows from a sump. War – Due to its unpredictable nature, any loss resulting from war cannot be covered. Intentional Loss – No coverage is provided if you intended to cause a loss. Wear and Tear – Wear and tear is usually excluded since the policy is meant to provide coverage for "sudden and accidental" losses. It is not to be a maintenance policy for when things have outlived their useful timespan. These steps are an overview of common terms, conditions and coverages. Review your policy or contact a AAA Insurance agent for more information.